Andy is one of our brilliant Hutt-based mobile techs. He is Upper Hutt born and bred, and loving life while living on his lifestyle block with his partner, looking after their horses and 2 cats! In addition to living a life of luxury, he is a massive fan of Sci-Fi movies, real-time strategy games, PC and Playstation. 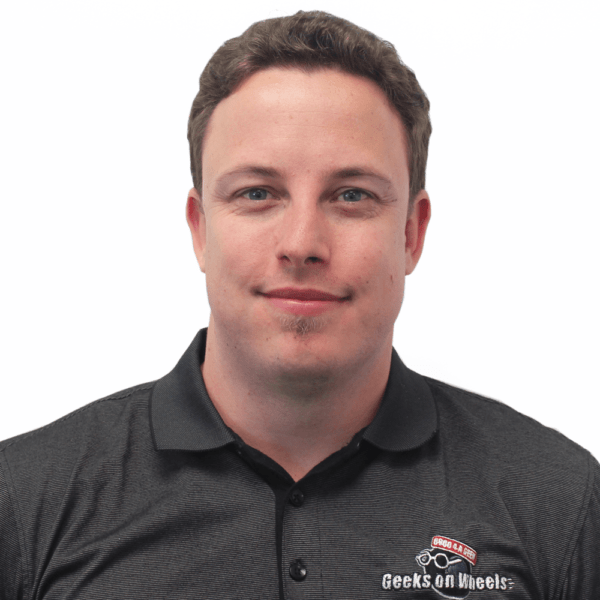 Andy has a strong IT background, with experience in IT logistics and mobile sales. He has also dabbled in 3D visual effects and graphic design and has even done 3D modelling projects that have been included in movies! That’s definitely something to ask him about while you are waiting for a virus scan to complete!